NHS Improvement has reined back on a blanket approach to enforcing new tax rules for bank, agency and locum staff. The organisation, which oversees all NHS trusts, issued guidance that all bank, agency and locum staff should come under the new IR35 tax rules which came into force on 1 April. This means all temporary staff would switch to pay as you earn (PAYE) rules and have tax deducted at source. Front-line staff warned moving to PAYE would result in income reductions for bank, agency and locum staff. 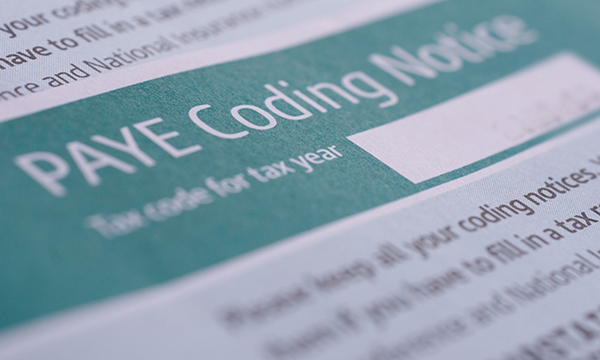 Now NHS Improvement has issued updated guidance to trusts, stating employers should now instead decide the tax status of employees on an individual basis. The new guidance, published on 30 May, states: ‘On our understanding that many individuals currently providing services to the NHS through intermediaries fall within IR35, we anticipated that providers would need to ensure that all locum, agency and bank staff were subject to PAYE and on payroll for the new financial year. ‘The introduction of the rules has made clear that an assessment of whether or not IR35 applies should be applied on a case-by-case basis, rather than by a broader classification of roles. It also directs trusts to an HMRC tool designed to ensure employees are paying the correct level of tax. An RCN spokesperson welcomed the update, and added: ‘It’s clear this was an ill-judged move that seems to have been rushed through with insufficient consultation and little thought to the impact it would have on staff.